Opinioni di stile. : NYFW Holmes & Yang. Here we are to see my new favorites collections of the New York Fashion Week! Some of my favorites looks of the Holmes & Yang. What do you think about them? All such gorgeous looks!! I am your newest follower and would love to follow each other! Hi benedetta!Following you now!would love if you follow back! By the way, retty blog you have here! Great looks and good eye! I'm following, would love for you to follow back! 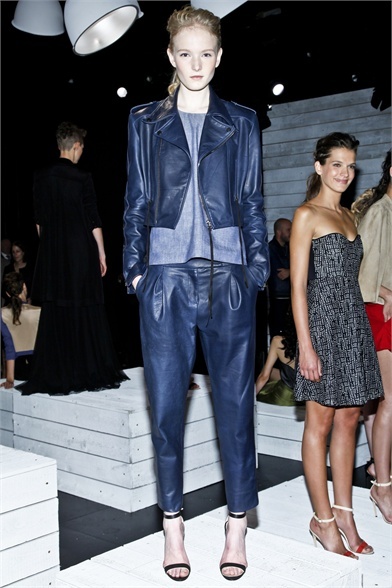 I absolutely love the Holmes & Lang spring 2013 collection from NYFW. I featured a dress of theirs on my blog too! Maybe you can check it out if you get a chance? I love your blog! I'm following! I'm just starting out so a follow would be spectacular! Love the blog! Have followed you. Please do check mine out including my competition giveaway! Your blog is great! I just adore the sketch art you have in the background! Following your blog and would love it if you follow back!